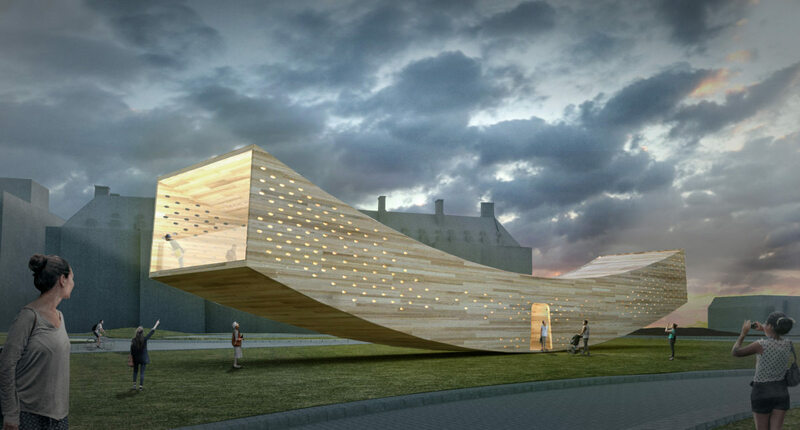 Alison Brooks Architects have designed an urban installation for this year’s London Design Festival that showcases the structural and spatial potential of cross–laminated hardwood, using American tulipwood. The Smile is a collaboration with AHEC, Arup and Merk. The curved form allows the Smile to cantilever out from its centre point to reach out into space. The curved floor, curved ceiling and curved walls create a dynamic and unfamiliar internal space. It is an undulating environment, between a landscape, adventure playground, bridge and a diving board.